After giving provenly harmful FOBTs an easy ride in their recommendations on the Triennial Review, the Gambling Commission is taking an aggressive approach on Cat D machines, calling for player protection measures despite self-confessed lack of evidence. The very same self-described ‘evidence-based’ regulator that suggested a £30 maximum stake on FOBTs – contrary to both statistical data and popular opinion – is now suggesting the need for further player protections on Cat D, despite a lack of “compelling evidence”. In its report on ‘Children, young people and gambling’, the Gambling Commission appears to have disregarded its ‘evidence-based approach’, instead calling for action based on a “lack of evidence”. The Commission added that it plans to work with Bacta to explore what more the trade association “can do to improve standards of player protection – particularly those parts of the industry who (legally) sell their products to under-18s as customers, such as the arcade sector”. This follows the same line of thinking as the DCMS last October, which denied Bacta’s Triennial Review request for an uplift on stakes and prizes on Cat D due to a lack of suggestions for additional player protection measures. Now it appears the Gambling Commission want operators to implement player protection measures on Cat D regardless of the fact that there is no evidence that it is at all necessary at the current stakes and prizes level. Yet with “no compelling evidence” to state otherwise, the Commission is assuming that there is a risk associated with Cat D machines. Furthermore – after stating there is no evidence on which to act – it even has the temerity to state that “progress by operators has been slow” in regards to social responsibility. This not only shows a distinct disregard for its self-ascribed ‘evidence based’ philosophy,but also a complete misunderstanding of the amusements industry. Yet this is done on a daily basis in FECs around the country, with operators and staff on the shop floor making sure every child leaves with a smile on their face. In the amusements industry, customers don’t return because they want to win back their 2ps, they return because they had a great time. In this sense, as Bacta say; ‘social responsibility is at the heart of what we do’. However this message appears to have been lost on the Gambling Commission. 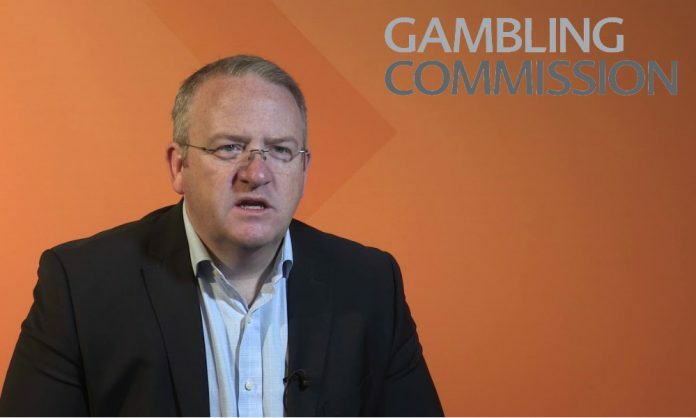 If the DCMS left the door ajar on Cat D player protections following the Triennial Review, then the Gambling Commission have just kicked it wide open. And their message is loud and clear:We’re coming for Cat D, and we don’t need any evidence to do so.